I've started listing prewar and vintage cards on eBay (seller ID late_innings) and will add more as time permits. 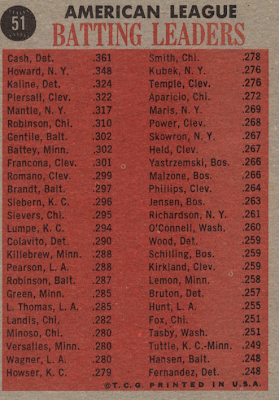 They'll range in time period from 19th century to 1980 and cover a wide variety of sets; the first listings are two 1962 Topps Venezuelans and an 1887 Allen & Ginter. Here's one of the former, a 1962 leaders card with Norm Cash and Al Kaline. 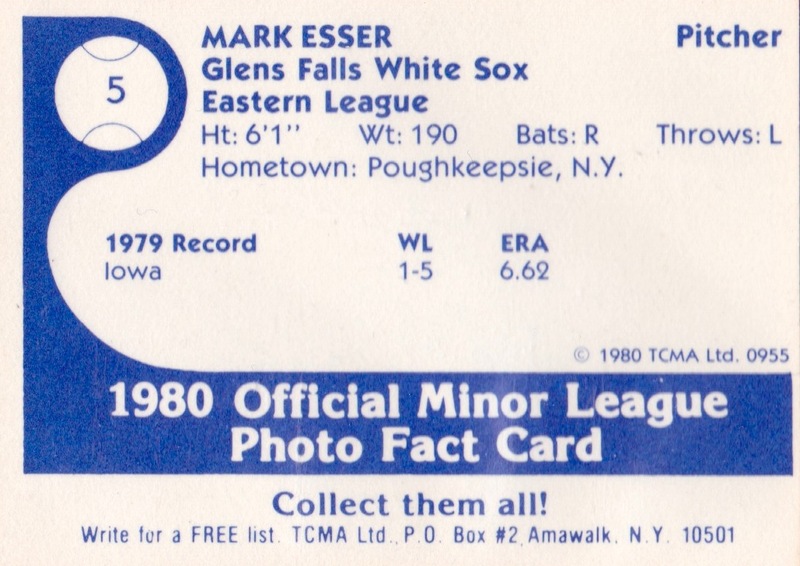 Note the darker orange ink (salmon-y) and lack of a USA tagline on the back. This distinguishes 1962 Venezuelan cards from American Topps, at least those without Spanish text translations. 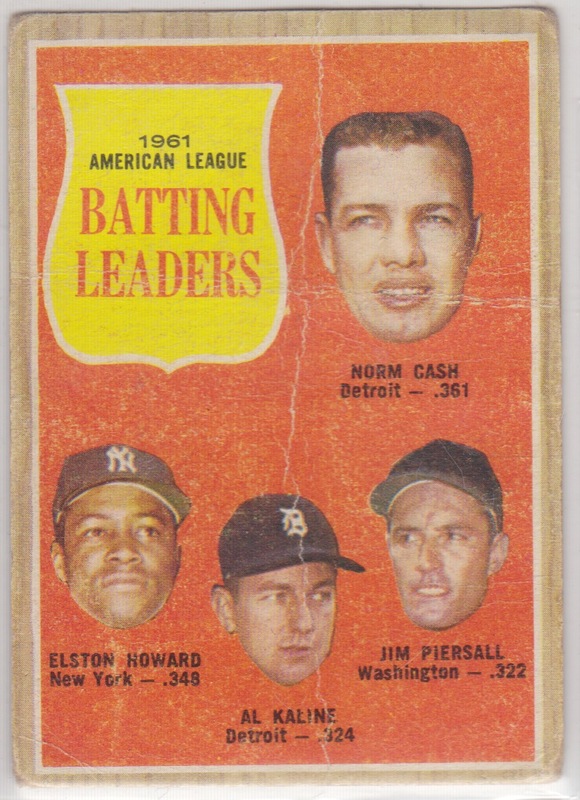 1962 American Topps uses this ink shade and says "(c) T.C.G. Printed in U.S.A."
Pardon the interruption and back to profiles next time! UPDATE: Fixed the seller link, thanks Mark! 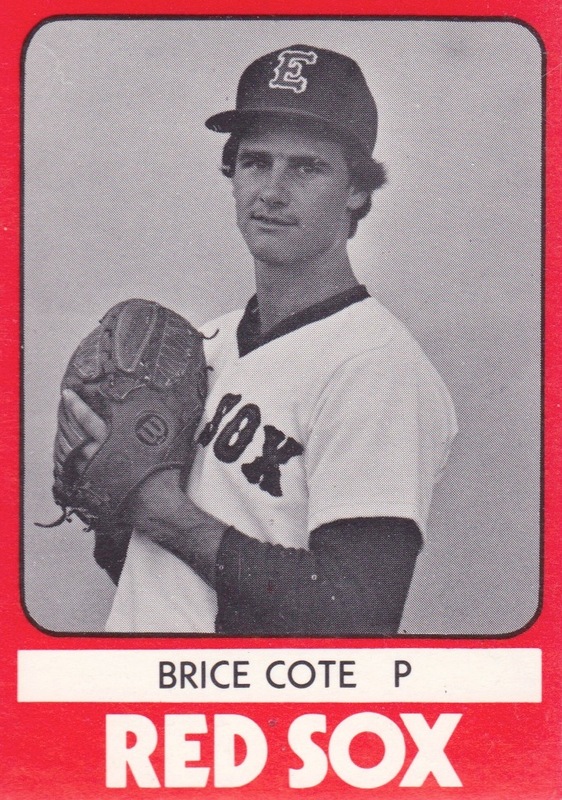 Today's minor league mugshot's an alum of Mercer County Community College, a mild-mannered school in name that generated a notable 20 draft picks from 1976 to 1985, including Brice Cote and four 1st-rounders. Future MLBer Dave Gallagher went high in the 1980 draft twice, ultimately joining Cleveland in June after not signing with Oakland in the April phase. Cote's bushy brows ride the optimism of rookie league ball, where Brice played two seasons in Elmira (NY) and Florida, then decided to move on to other things. 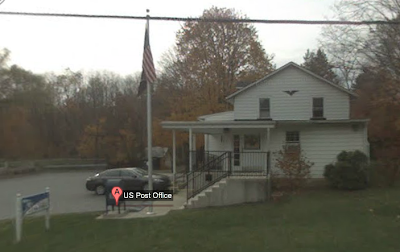 These days, he heads the anti-shenanigans unit for New Jersey thoroughbred tracks, following a decade-long career as track investigator for their state police. 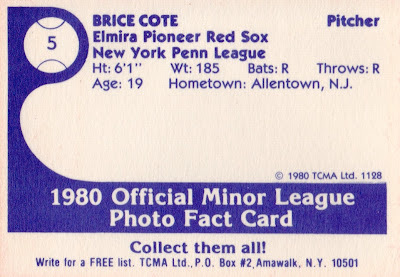 TCMA printed a whopping 44 players for Elmira's set, including future Boston fan favorite Oil Can Boyd and former Red Sox players Sam Mele and Frank Malzone. Value: This #5 cost $2 at MinorLeagueSingles.com and team sets run $20-40. 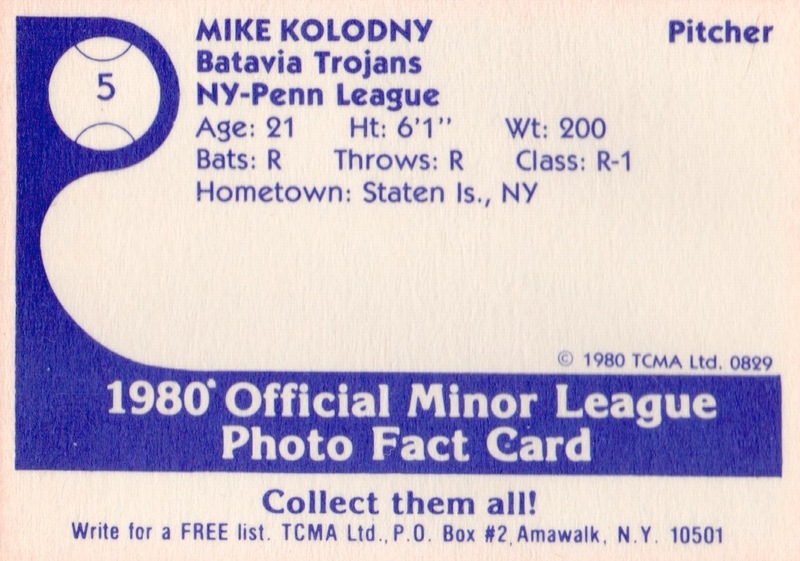 Fakes / reprints: TCMA reprinted several team sets, possibly including this one, for "collectors kits" in the late 80s. 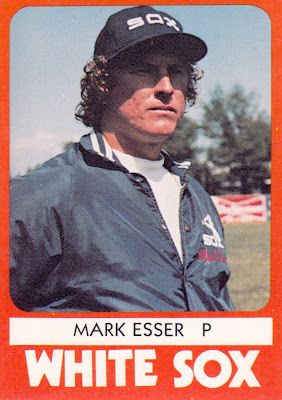 Those cards have black backs and originals use blue backs. I have a soft spot in my heart for Carlos Peña, who turns 35 today. 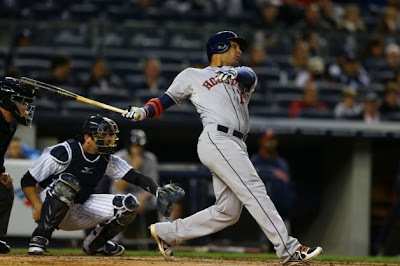 Houston's slugging first baseman doesn't club them into the seats at the same pace he used to, but his 5 years in Tampa Bay were so good, he comfortably holds the Rays franchise HR record at 163. Peña's similarity scores from B-R.com turn up more of the same, big first basemen and designated hitters who regularly posted 120 OPS+ thanks to their power stroke. 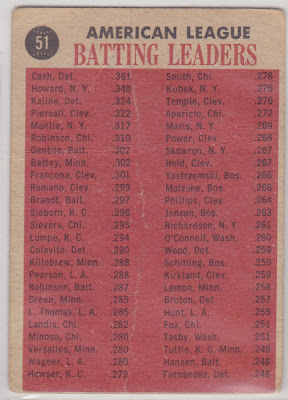 His top five cover a nice range of years and players, where "nice range" means "after the DH's installation in 1973." 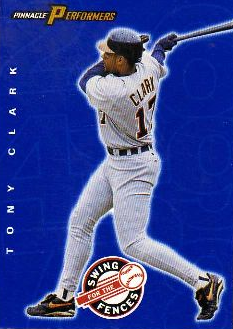 Soon after my move to Boston, the Red Sox signed Tony Clark to a $5M contract, fresh off his 2001 All-Star season in Detroit. 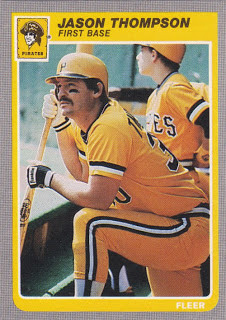 Clark proceeded to post a 47 OPS+ and everyone in the seats hated him, hated the team, and hated the owners. He followed that folly with a handful of decent years elsewhere, so I assume Tony never felt comfortable with Boston itself, his teammates, or contract. Thompson made 3 career All-Star games and struck out nowhere near the totals posted by free-swinging power guys today. Given his 120 career OPS+, I'm surprised he didn't get more opportunities after age 30. 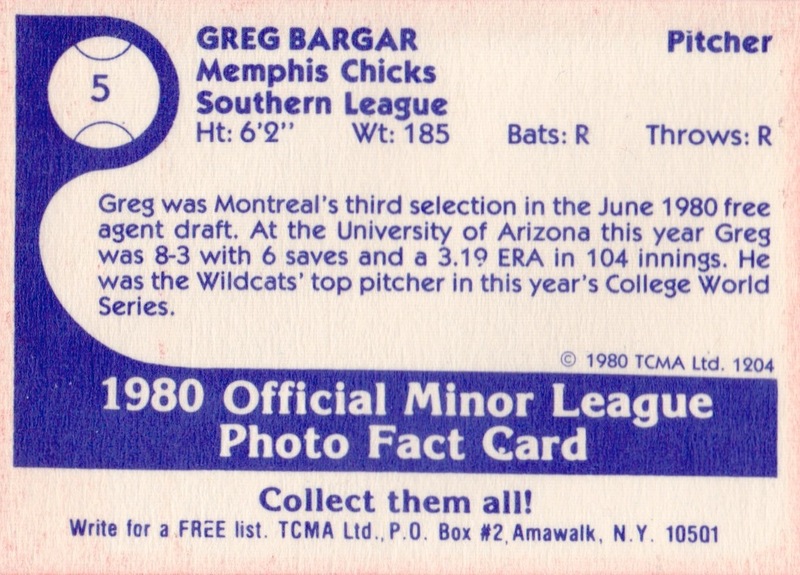 Montreal cut ties with Jason after two bad months in 1986 and that was it for his career. 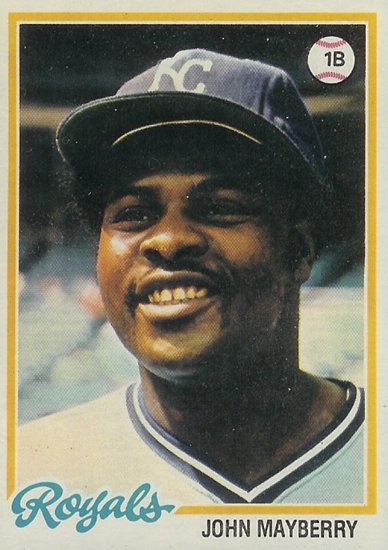 Houston drafted Mayberry with high expectations, but he never hit well in spot-duty and they unloaded him to Kansas City for Lance Clemons and Jim York, two pitchers who combined to win 9 games for the Astros. Six years, two All-Star appearances, and 143 HRs later, it's fair to say the Royals got the better end of that trade (career stats). 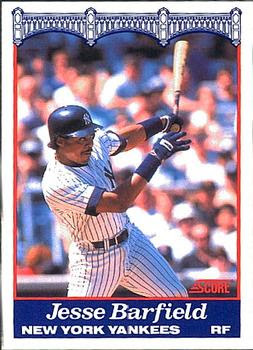 This is one of the first cards to show Jesse Barfield as a Yankee, after Toronto swapped him early in 1989 for a youthful Al Leiter. Jesse could still reach the seats in New York, but without the consistency shown earlier in Toronto. Like Jason Thompson, Barfield was finished by his early 30s, but might've stuck around longer with the surfeit of teams playing today. 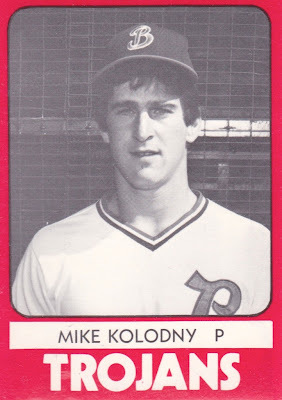 While a fan of minor league baseball and interesting names, I'm of two minds on this team. 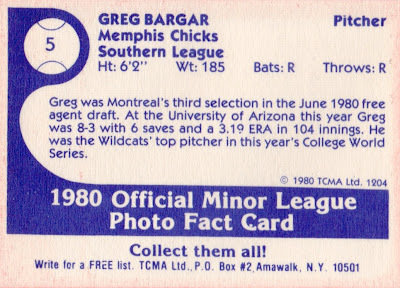 A squad intentionally named the "Chicks" already borders on gaudy, but did you know they played in Tim McCarver Stadium, so named in 1968 for the Memphis native, then a pretty-good catcher, now (in)famous as Fox's tenured professor of broadcasting? 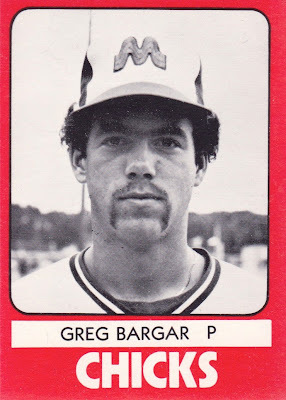 A park that combined AstroTurf infield and outfield grass? There's your purported Memphis Chicks. 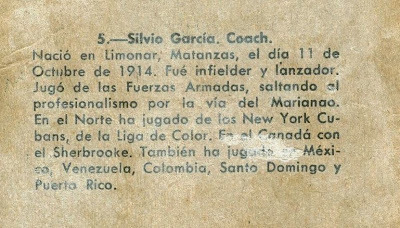 I submit this team might not have actually existed outside the mind and pen of George Plimpton. 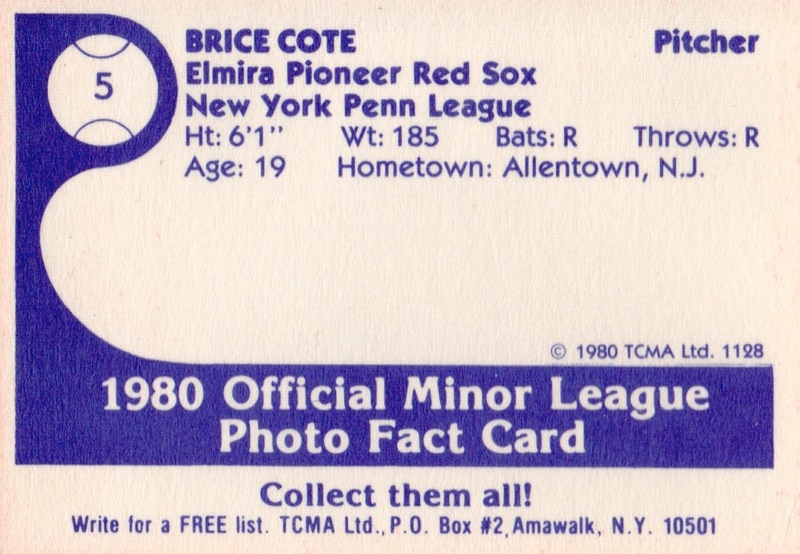 Value: Non-star 1980 TCMA singles cost a dollar or two. Most team sets are under $20, but the title-winning success of Terry Francona might push this one close to that. Fakes / reprints: TCMA reprinted several minor league sets for "collector's kits" later in the 1980s. 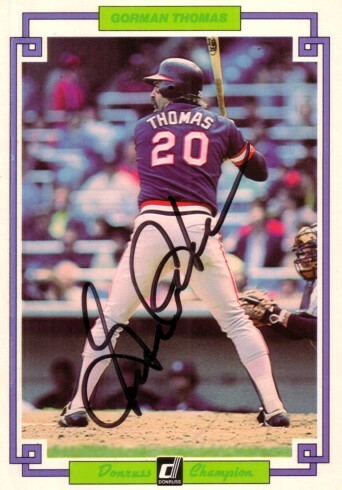 Those reprints have black backs, while originals have blue.